1 Choose your license's package. If face any troubles, please let us know, by using our contact form. Amazing clean design, SEO optimized & affordable. Start your own Pinterest community in 5 minutes! 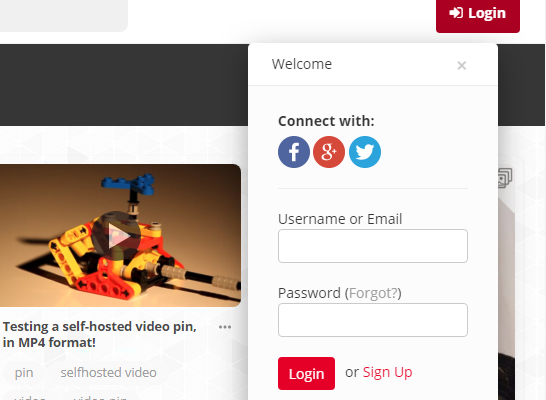 Pinclone is the most professional Pinterest clone for WordPress. 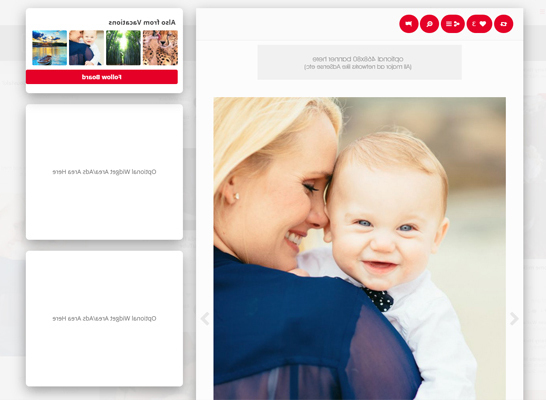 Build your own Pinterest community in minutes! The most complete Pinterest clone! 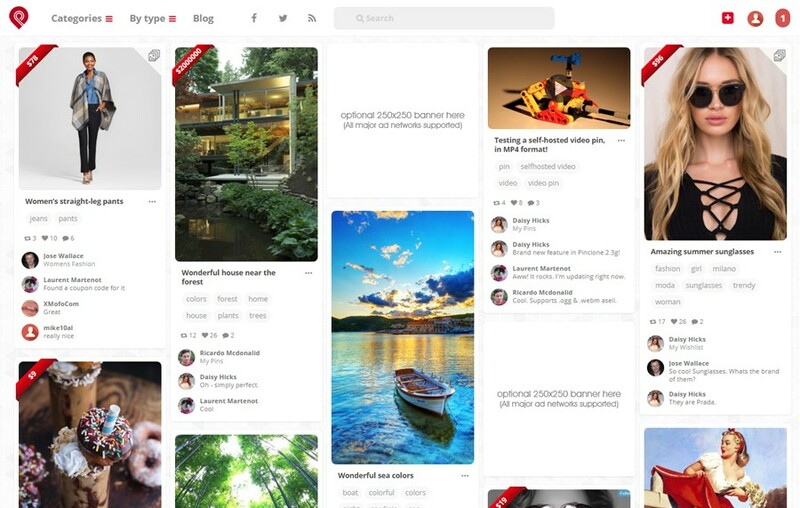 It combines a complete series of Pinterest’s functions along with an eye-catching responsive design. Wordpress-based & designed with the latest web standards!  Get the idea, a domain name & Pinclone. Install & activate Pinclone in your website. 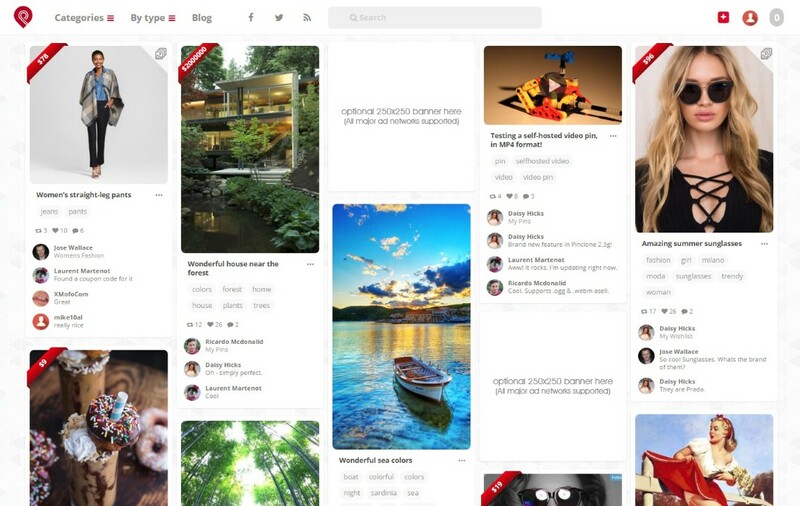 Your Pinterest clone community is ready! We guarantee that our price is the best on the market. Such a commercial script for such a low price. Comes with advertisements' spots (header, front page, single page etc) so you will just to paste your ad code. Custom widget areas will also help you incorporate your third party code within various pages.